Follow the journey of Canadian artists as they travel abroad and their subsequent return home during the last decades of the nineteenth century to the turn of the twentieth. Approximately 125 masterworks by some thirty-five artists situate Canadian art within the global phenomenon of Impressionism and present a fresh perspective on its reception in the arts of Canada. Adopting a thematic approach, comprehensive essays demonstrate the commitment of these pioneering artists to an innovative interpretation of foreign and familiar surroundings imbued with an Impressionist vocabulary. 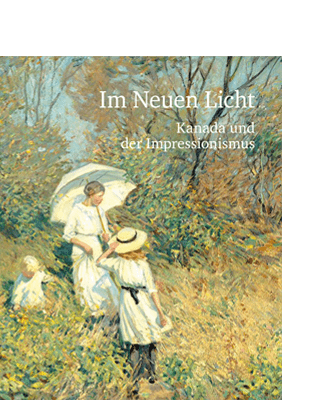 A detailed chronology explores the multifaceted ways in which Canadians contributed to the evolution of Impressionism and to the advent of modernity in their homeland.